It’s often said that My Neighbor Totoro takes place during the last half of the 1950s. But when exactly? The movie’s story might seem contained over a few months, so it should be easy to pin down when. But that’s where things get strange. This is using the Japanese numbering system for years, and it’s fairly easy to follow: Showa 30 means the 30th year in the Showa Emperor’s reign, which is the year 1955. According to this storyboard, the movie would take place sometime after that year. Case closed, right? Nope! The movie does not appear to closely follow this timeline, because 1955 is the year television broadcasts began in Japan. The world of Totoro definitely seems to be pre-television. Moreover, the dates that do appear in the movie jump around, further abstracting timeline. Fansite Ghibli no Sekai pointed out the various timeline inconsistencies in the movie. The way the dates fall on the calendar in the mother’s hospital room corresponds to July 1958. Then, there’s this telegram, which is marked 昭和32年8月11日 or August 11, Showa 32. This means the telegram is dated 1957. But then later in the movie, the hospital calendar for August corresponds with 1952. 1952. 1955. 1957. 1958. What’s going on? 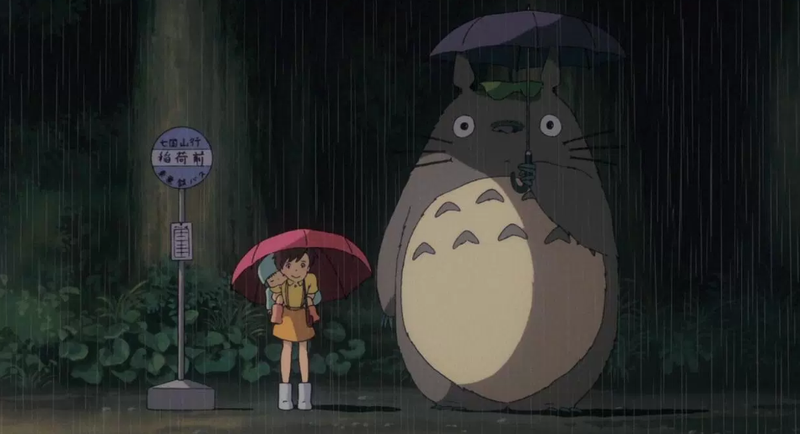 However, in another Ghibli book on Totoro, Miyazaki said that saying the movie took place in the early Showa 30s was “frankly, a lie.” The truth, he continued, was that My Neighbor Totoro took place in a time before television. Whether these inconsistencies were on purpose or due to insufficient research, all of they give the movie an even more magical feel. For more Ghibli fandom, check out Ghibli no Sekai (Japanese language only).